With online trading catching up in each and every sector, REConnect Energy, a renewable energy certificate trading company based at Bengaluru, has launched clickpower.in, an initiative to enable generators and consumers to buy and sell electricity through an electronic marketplace. Clickpower.in enables consumers and generators to explore the best available options to procure green power as well as conventional power. It is a discovery platform that remains anonymous for both the buyer and seller until a deal is signed. Though REConnect Energy was launched in September 2010, it launched the online platform in February this year. According to the renewable energy purchase obligations specified by different states for power distributors and consumers, companies have an obligation to consume renewable energy and could incur penalties if these are not met. However, if they can't physically buy renewable power, they can buy a certificate and meet the obligation. 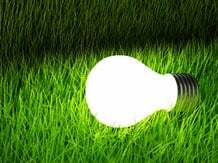 Just like online discovery platforms, clickpower.in gives an option for consumers of bulk energy to find generators to supply green energy. A consumer company lists its energy requirements whereas a generator provides details of how much power could be provided by it. If the consumer is interested, it could respond to the generator. Clickpower.in validates both the consumer and generator. At least three-four layers of negotiations happen online before then meeting to settle the deal through an offline transaction. The terms of discussion are brought online in the form of term sheets. The platform, which supports both intra-state and inter-state transactions, is currently present across six states, including Karnataka, Tamil Nadu, Telangana, Andhra Pradesh, Maharshtra and Rajasthan. Some of their online clients include Aditya Birla Group and spinning mills Maris Spinners. "Though the market is gaining in size, it's not an organised one," said Vishal Pandya, director, REConnect Energy. The advantage of an online aggregator is that the customer gets flexibility to approach different generators based on the rates and hence, are mostly short-term deals. "If a company wants to buy green energy from a state, the tariff is fixed for 25 years," added Pandya, an electrical engineer from IIT-Bombay who specialised in power systems. "These rates are linked to future escalations also." According to the government, the total consumption of electricity in India for FY14 had been about 900 billion units (bu). The company plans to focus on only 20 per cent of the industrial and commercial market that could be harnessed for open-access. It works out to about 90 bu per annum market that can be catered through open-access. With the provision of open-access system -- a generator or a consumer is given non-discriminatory use of transmission and distribution network access -- a consumer always has a choice to select from where to consume power.